Unfortunately, most insurance companies do not provide coverage for vasectomy reversals. As an elective procedure, couples are responsible for finding ways to afford the procedure needed to start their family. No Insurance Coverage? No Problem. If you are concerned about the lack of insurance for a vasectomy reversal, do not dismay. To make vasectomy reversal feasible for most budgets, we have developed flexible financing options to help couples realize their dream of starting a family regardless of their financial situation. It was incredibly exciting-I don’t think our feet have touched the ground yet! We did a home pregnancy test at 5am! Needless to say we did not go back to sleep, we were too excited! Need a free Financing Consultation? We’ll Help! We have a full-time Fertility Finance Specialist on staff to help couples understand the options available to make vasectomy reversal as affordable as possible. You may speak with our fertility finance specialist free of charge so that you can make the best decision possible when it comes to financing your vasectomy reversal. 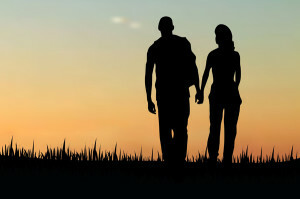 Call Southwest Fertility Center for Men in Albuquerque at 855-487-2667 to discuss financing for vasectomy reversal. At Southwest Fertility Center for Men, it is our goal to help couples overcome the challenge of male infertility. As a vasectomy reversal doctor, Dr. Kuang understands that the challenges of male infertility are not limited to physiology, but also include emotional and financial aspects. As such, we seek to provide comprehensive services to care for the whole person—and make achieving the reality of starting a family available to as many people as possible. To learn more about our vasectomy reversal doctor, our services and our state-of-the-art reproductive care, please contact us. We are committed to helping you make the best decisions possible when it comes to treating male infertility.